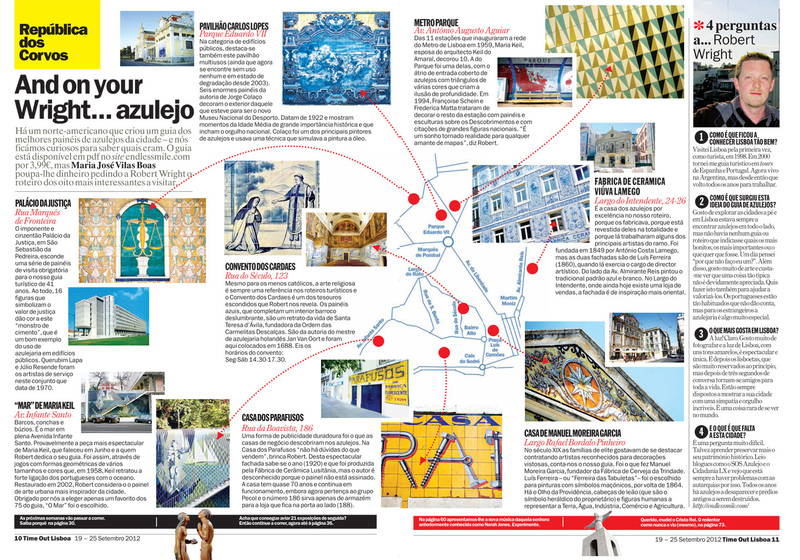 Use this guide to scour the city for the most outstanding examples of azulejos… the perfect art lover’s supplement to Lisbon. After visiting Spain & its beautifully decorated residences, King Manuel I ordered 10,000 tiles to decorate his own royal palace back home in Portugal. Since then, production methods have improved & styles constantly changed, but azulejos have remained popular for over 500 years. Currently found in most major public works in Lisbon—from lining new highways to decorating world expositions—tiles have become synonymous with the capital city. 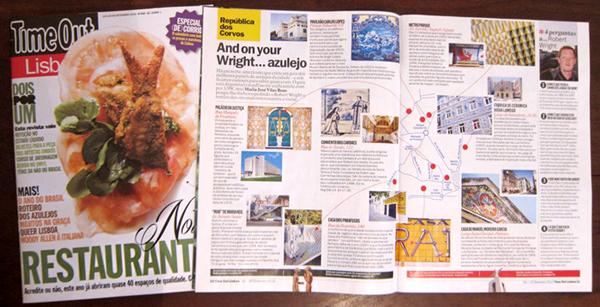 Since azulejos are literally everywhere, this guide recommends almost 100 of the best panels in town. Listings cover every period & style as well as focus on the work of a few recognized masters like Jorge Colaço, Maria Keil, Eduardo Nery & Querubim Lapa. Panels are also categorized into five classes: residential, religious, public works, urban art & business. They seem to be used for just about everything! Information about tile production, different trends & factories provides the perfect intro to a must-see for all tile lovers: the Museu Nacional do Azulejo. Originally a convent for the Order of St. Clare (the female equivalent to the Franciscans), the site opened as a tile museum in 1970. The guide contains a complete map of the museum plus more about its fascinating history. Unfamiliar with Portuguese tile artists? Mini-biographies are provided for several modern masters. Finally, nine detailed maps of Lisbon show you exactly where to look. A good idea is to keep this guide handy while exploring Lisbon & incorporate a tile excursion while visiting other sights. Photos for every listing are included in the guide. Since Lisbon’s Metro system is an underground art museum, Endless Mile visited all 56 stations to evaluate which are really worth recommending. We’ve selected three per line, but in case you want to see more this guide lists: the artist, a description or title of the piece, location within the station & the year installed… for each station. While this guide does not contain a complete listing of all tiles in Lisbon—a worthy but monumental task—the 98 panels selected represent a sample of the city’s finest. We’ve also marked 26 as the best of the bunch… if you’d like help narrowing down the options. Don’t miss them! This map-based PDF helps you discover more of Lisbon. Format: PDF, A4 landscape, 32 pages. Ideal for viewing on any tablet or for print. Released Jul 2012, updated Jan 2018. This guide may not be redistributed, resold or reprinted. Duration: Spend as much time as you like. This is not a guided walk with ordered stops, & few people will want to see each & every panel. However searching for tiles represents one fun, alternative way to explore the city. 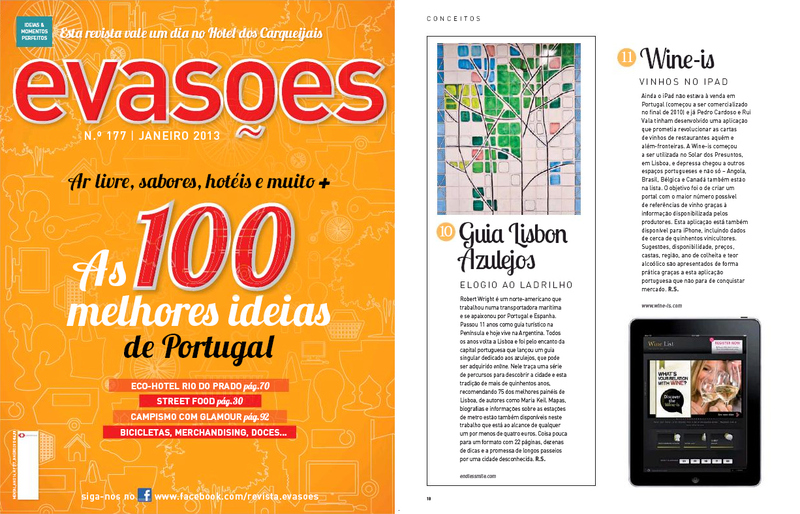 Evasões • Jan 2013 (#177). 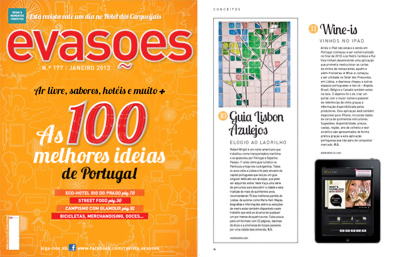 Selected as one of the Top 100 ideas for Portugal! Not a problem. We’ve made our guide to DOMES OF BUENOS AIRES available for download free of charge! 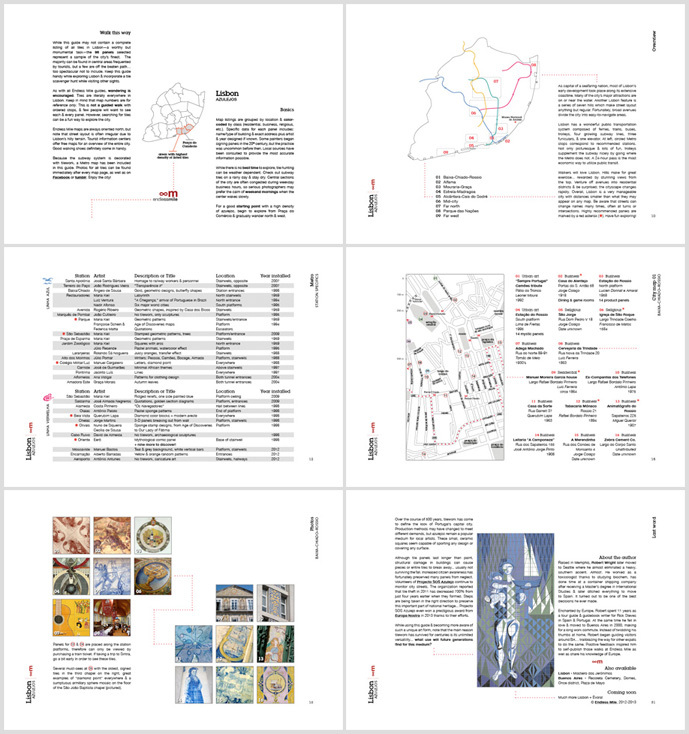 Although you’re thinking about Lisbon, this 12-page, map-based PDF (only 2 Mb) allows you to examine the general structure, layout & writing style of all Endless Mile guides. Plus, in the future you’ll have an opportunity to discover 75 great domes in Buenos Aires as well. Some features you’ll find are: a brief historical background, a summary of architectural styles & lots of original artwork. Take a look!